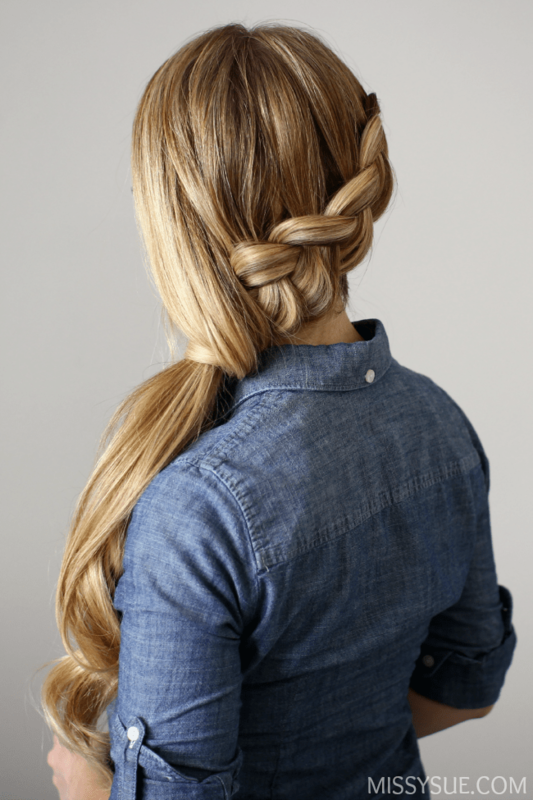 Adding a quick braid to any ponytail is an easy way to dress it up. 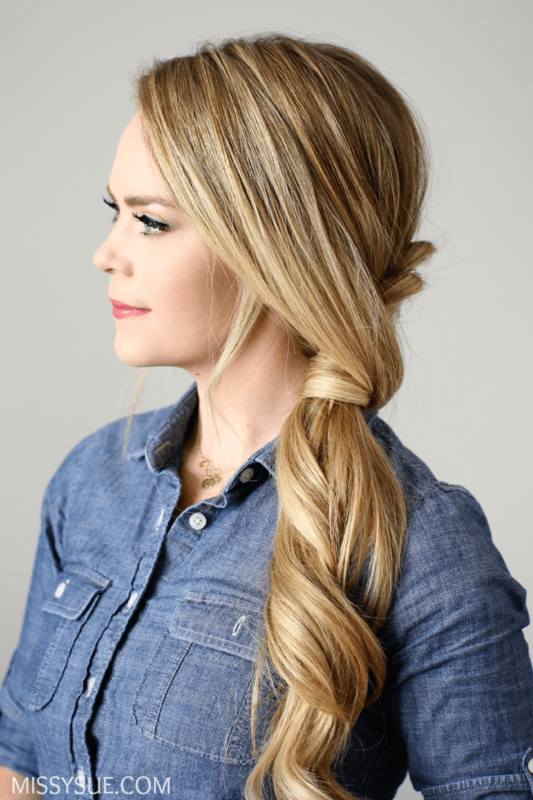 This side-swept hairstyle features a pretty dutch braid and wrapped with hair to give it a fancier feel. I love wearing side ponytails particularly because they are a little more dressy than your typical high ponytail or low pony. Be sure to let me know what you think in the comments below and don’t forget to tag me on instagram if you recreate this style! Here are some other great ponytail hairstyles to try! Step 1 / Start by brushing through the hair then sweep it over the left shoulder. Step 2 / Pick up a 2″ wide section of hair on the right side of the part and two smaller sections directly behind it, one slightly to the right and one to the left. 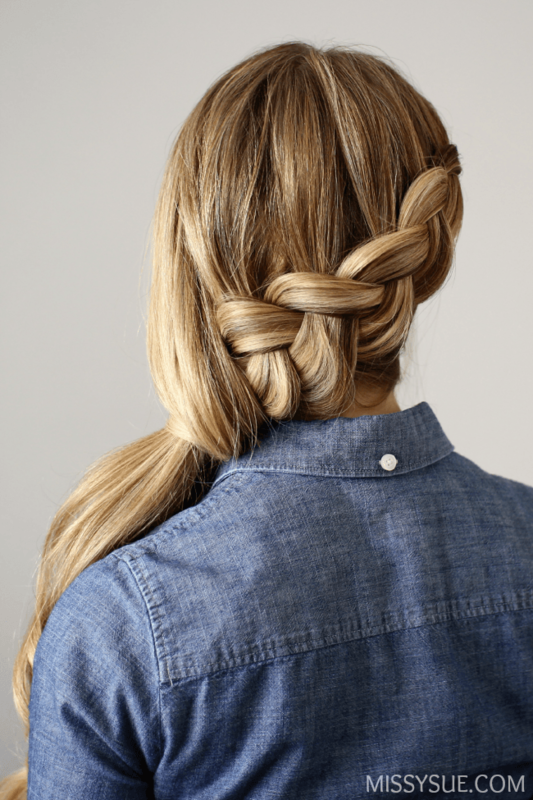 Step 3 / Begin a dutch braid by crossing the side strands underneath the middle section. Step 4 / Start incorporating in small sections of hair as the braid trails diagonally down the back of the head towards the left side of the nape of the neck. Step 5 / When the braid reaches the nape, take the remaining hair and wrap it around the braid. Step 6 / Wrap an elastic band around the hair including the ends of the hair that is wrapped around the braid. Step 7 / *Optional: Grab your favorite curling iron and add some curls to the ends of the ponytail. 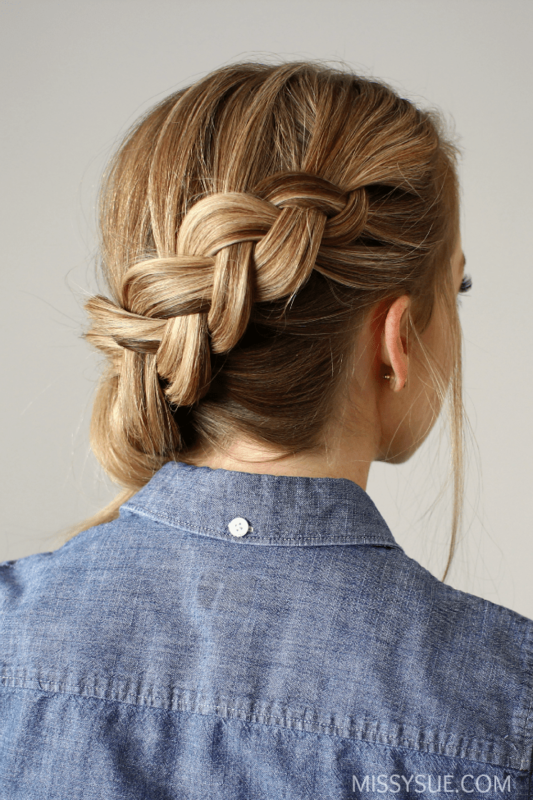 Step 8 / Spray the top as well as the braid with a firm hold hairspray and smooth down any flyaways. I have been following you on instagram lately and I love the ways you style your hair. I have long hair and my front hairs are cut to the chin level.As in flicks to the chin level and I always find it difficult to pin it up or braid it up when I am braiding my hair other than the normal braids or a ponytail. (Even I tried this hair-do and I faced the same problem )Can you suggest something for the frontal hair? Hello, I’m not sure how thick this section is but it doesn’t work to leave it down? The only things I can think to suggest are to pin it up until you can grow it out. If you love having this section then maybe leaving it down like bangs might work. It’s hard to know when I can’t see how it looks. I don’t believe that hairspray is damaging to hair so I’m not sure where you heard or read that. Love it! Just wondering where your top is from? Thanks again for a great tutorial.